Built around a Mauser action, this interesting Westely Richards rifle was once owned by Raja Bhuri Singh of Chamba (b.1869-d.1919, r.1904-1919) in northern India in Punjab as denoted on the case lid. I had the rare opportunity to inspect this rifle recently in my shop. It was sold in September at a gun auction hosted by the Rock Island Auction Company. 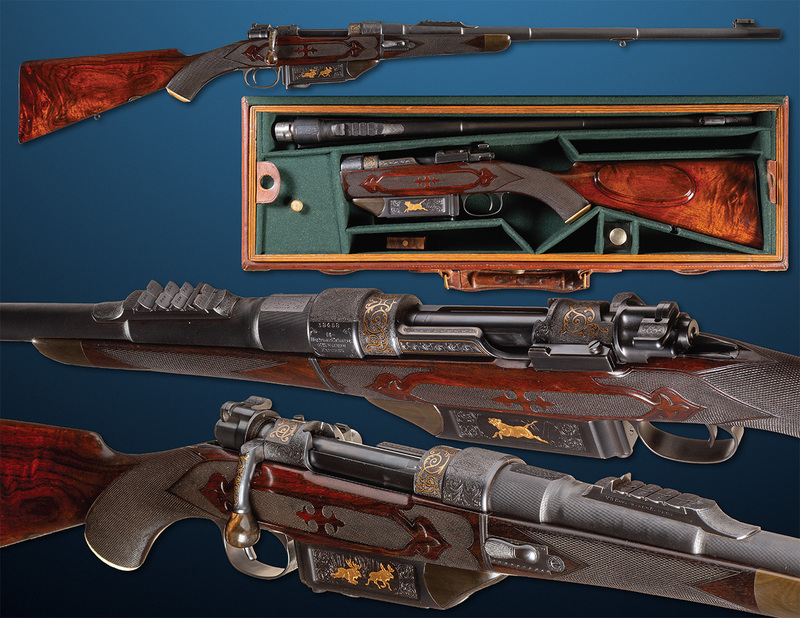 More of the details in regards to this rifle are available on the RIA website. 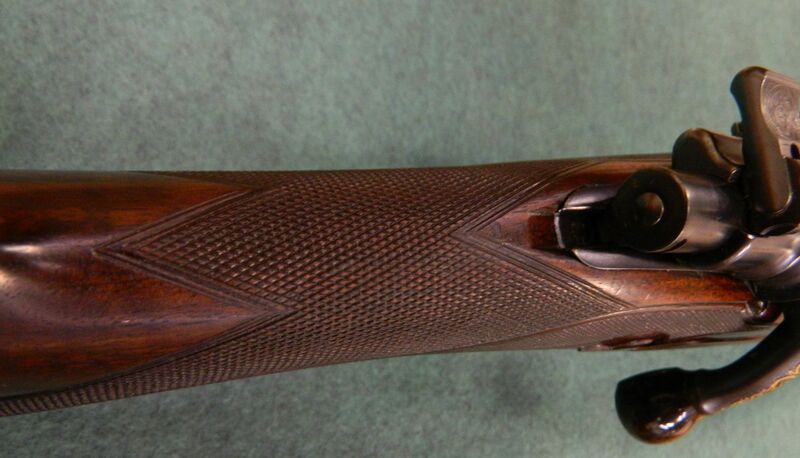 It was built around 1911 and the caliber is .425 Westley Richards. The stock work on this rifle was very well done. I only have seen a rifle like this in an old W&R catalogue, but never in person. The flashy checkering was really well executed. 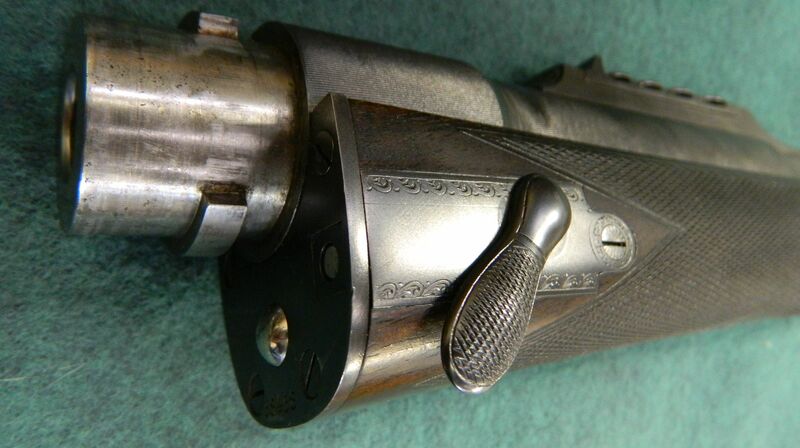 The metal work and engravings has been done somewhat unrefined and is typical for guns made for the Indian market. Interesting is that the whole length of the barrel was struck with a file of sorts to apply a serration. Notably on the rifle is the take-down system and the extended magazine box. The take down system on this rifle is tight and works smooth. A spring loaded ball provides pressure between the joining plates. This gives it a very tight feel, but I would assume that the accuracy of the rifle suffers from the additional pressure. 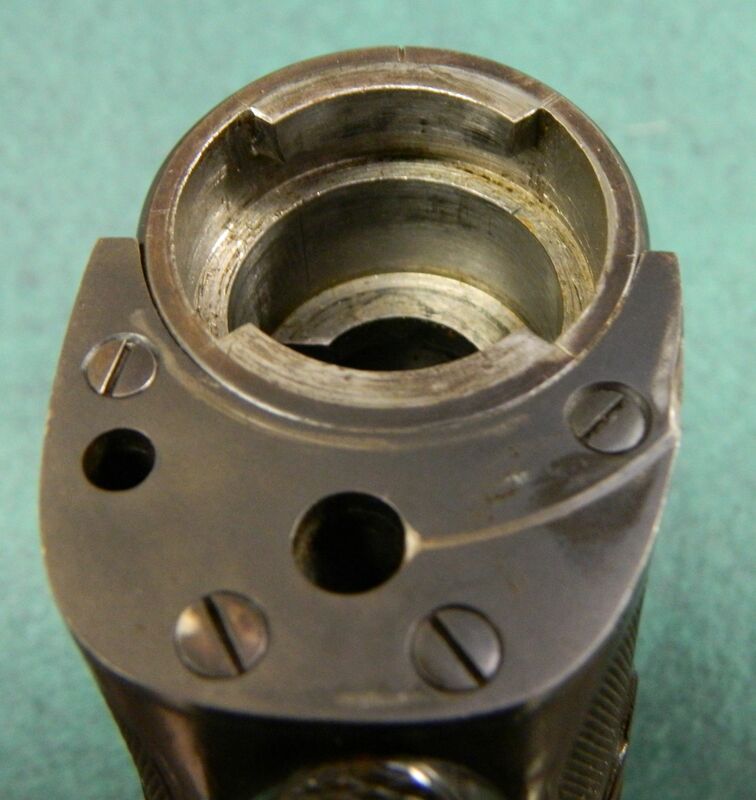 Unfortunately just about all take-down systems I have seen on Mauser 98’s have one or another draw back and influence the accuracy negative over time. Perhaps in the future the opportunity will present itself to re-create a rifle like this. That would be a lot of fun and I would enjoy that.